Amin was a leading proponent of dependency analysis and world systems theory, which gained prominence during the 1970s among left organisations, insurgent academics and public intellectuals. It was Andre Gunder Frank, the German-American professor who spent time as a consultant during the administration of Salvador Allende in Chile; Walter Rodney, the African-Guyanese historian and co-founder of the Working People’s Alliance, and Amin who were the most well-known advocates for expanding the Marxist paradigm to encompass in specific terms the inherently exploitative nexus between the underdeveloped and developed regions of the planet. 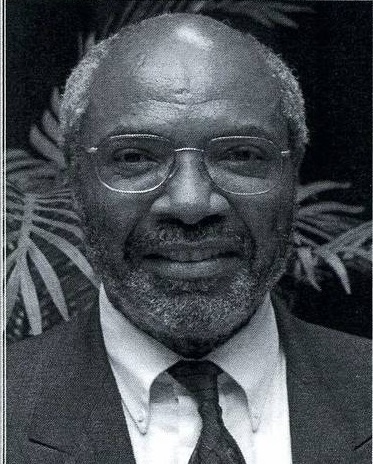 As an initiator of the Council for the Development of Social Science Research in Africa, Amin was able to influence many successive waves of academics seeking to explain the post-colonial crisis in African development. In the 1970s, the newly-independent African states were overwhelmed by national debt to the institutions of international finance capital. Although in many countries the national liberation struggles led by workers, farmers, youth, women, intellectuals and professionals made tremendous gains against what appeared to be overwhelming obstacles, the on-going realities of dependence by the emergent states related to the need for credit, technology transfers, the building of internal industrial projects and attempted diplomatic isolation by the West, placed these governments at a disadvantageous position well into the 1970s and 1980s. The 1980s were marked by the advent of International Monetary Fund (IMF) and World Bank engineered Economic Recovery Programmes and Structural Adjustment Programmes, ostensibly designed to balance current account deficits and to facilitate the repayment of loans. Nonetheless, the actual impact of these policies served further to arrest the genuine development of African societies placing them in perpetual subservience to the leading capitalist economies. This centre is the industrialised capitalist states in Western Europe and North America where economic priorities are established for the world system of capitalism. Investments in the nations of Africa, Asia and Latin America are aimed at maximising the profitability of multi-national corporations and banks. Such a structural system of economic relations enhances the power and authority of the leading capitalist states at the expense of the neo-colonial outposts. Such a situation disarticulates national policy within the neo-colonial dominated states hampering their capacity for genuine growth and development. Of course the African popular classes and intellectual strata have not been complacent in such a scenario. From the period of the onset of slavery and colonialism, the people have revolted, fought for self-determination and worked to build alternative structures, which address the needs of their societies and social classes. From the armed and mass efforts in Algeria and Egypt during the 1950s and 1960s in the north of the continent to the emphatic pan-African programme of party-building in the West African states of Ghana, Guinea, Mali, etc., in the same time period extending to the military, peasant and working class driven approaches in Mozambique, Angola, Zimbabwe, South Africa, Namibia, et.al, in the 1970s through the early 1990s, Africans have made tremendous contributions to the theoretical and practical aspects of national liberation and socialist construction. Beyond the spontaneous rebellions, protest activity and work stoppages, African and Asians have given credence to the notions of Marxism as being a living science. Applying scientific socialism to the peripheral territories has enriched the emancipatory vision of the potential for the elimination of poverty and all other forms of underdevelopment. Despite the collapse of the socialist project in Eastern Europe and the Union of Soviet Socialist Republics (USSR) in the late 1980s and 1990s, the People’s Republic of China, Democratic Vietnam, the Democratic People’s Republic of Korea and the Republic of Cuba still pose viable models of development in opposition to world imperialism. Although there have been road block and setbacks, the liberation movements turned political parties in Mozambique, Angola, Zimbabwe, South Africa and Zimbabwe remain in power playing a progressive role within the political and ideological struggle against Western hegemony. Witness the emergence of the Brazil, Russia India, China and South Africa Summits. Also the Forum on China Africa Cooperation has been in existence for nearly two decades charting a course for inter-state relations in an attempt to break out of the distortions imposed by the IMF and the World Bank. Amin in Delinkingdiscusses the “Relevance of Maoism” where the China model of socialist construction is upheld as representing a consistent path from the Marxism of Marx to the application of the theory to Asia and Africa. Socialism in China has outlived that of the USSR, Eastern Europe and Yugoslavia. Today China’s role in Africa has drawn the ire of imperialism, which continues to covet its previous unhindered access to the underdeveloped and emerging markets. Most African leaders push back by pointing to the distinction of capitalist investment and the Chinese joint partnerships focusing on infrastructural and technological development. Just weeks prior to his death, Amin wrote an open letter to the revolutionary forces of the world calling for the founding of a new international alliance of progressive and socialist forces. Amin saw this as a priority in the present period based upon the entrenched nature of imperialism and the lack of a forum for alternative voices from the working masses and radical intellectuals to provide a systematic critique and program to challenge Western orthodoxy. Amin views the idea of “Globalisation” as a modern form of imperialism. The oppressive and exploitative system cannot be fought strictly on a national level and therefore the struggle must renew the political thrust of internationalism based upon the interest of the majority of the world’s population. At present with the transition of Amin it is up to those remaining to figure out the logistics and ideological perimeters of such a gathering. Questions surrounding the character of discussion and the structural aspects of the organisation will have to be debated and resolved. Nevertheless, the appeal from Amin is a viable one. The majority must be organised and united in order for the dangers facing humanity to be eliminated.